New York is one of the most populated states in the country, and depending on where you live (looking at you NYC), your cost of living can be quite high. If you’re a student loan borrower, there are various student loan forgiveness options available to help. Here are eight options for student loan forgiveness in NY you should know about. Are you a physician in New York? The Regents Physician Loan Forgiveness Award Program offers physicians up to $10,000 in student loan repayment assistance each year in exchange for serving in an underserved community for two years. In order to qualify, you must be a resident of New York state, licensed in New York and have completed your residency within the last five years. Total award available: Varies. Equivalent to 24 monthly payments on your repayment plan. Are you making less than $50,000 and are on an Income-Based Repayment Plan, such the Pay As You Earn Plan or Revised Pay As You Earn Plan? You could be eligible for the The NYS Get on Your Feet Loan Forgiveness Program, which matches your monthly payments for up to two years. The Get on Your Feet Loan Forgiveness program is available to residents of New York who completed high school and college in New York State. You must have graduated from college in or after December 2014 and have a Bachelor’s degree (and nothing higher) when you apply. To qualify, you need to apply within two years of graduation. If currently employed, your work must be in New York State, and you must be in good standing with all of your loans. Teachers willing to teach in shortage areas could receive up to $5,000 per year for up to four years under the The NYS Teacher Loan Forgiveness Program. You must be certified in New York and be a current resident with at least one year of residency under your belt. 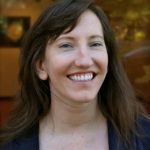 To qualify for teacher loan forgiveness in NY, you need to be employed full time at an elementary or secondary school, and you must teach in a subject shortage area. You must be in good standing with your repayment. Nurse faculty in New York could get up to $8,000 per year in student loan repayment assistance through the The NYS Nursing Faculty Loan Forgiveness (NFLF) Incentive Program. You can stand to earn a maximum of $40,000 with five years of service. To qualify, you must be a resident of New York for the last year and be licensed to practice nursing in New York. You must have clinical experience and also have obtained a master’s or doctoral degree relevant to nursing. Additionally, you must have at least 12 credit hours as a faculty when you apply and be in good standing with your loans. Your student loans must have been disbursed on or after January 1, 2001 and can be federal or private, so long as they were used for a nursing degree. Parent PLUS loans and Perkins Loans, however, are ineligible for this program. Even farmers can qualify for student loan forgiveness in NY. Through The NYS Young Farmers Loan Forgiveness Incentive Program, farmers can receive $10,000 per year, for a maximum of $50,000, in student loan repayment assistance. To qualify, you must be a resident of New York for the past year. You must also have an undergraduate degree from a college in New York and agree to operate a farm full-time for a total of five years. Eligible candidates must have graduated within the last two years and will need to sign a Service Contract that states you’ll commit to operating a farm for five years. You’ll need to be in good standing on your student loan repayment. 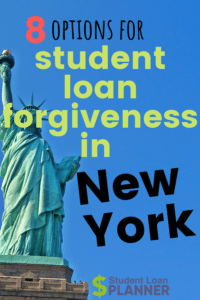 District Attorneys, Assistant District Attorneys and Indigent Legal Services Attorneys may qualify for student loan forgiveness in NY through the NYS District Attorney and Indigent Legal Services Attorney Loan Forgiveness (DALF) Program. To qualify, you must be a resident of New York and have worked as a District Attorney, Assistant District Attorney or Indigent Legal Services Attorney for a total of four years (not to exceed nine). You can receive $3,400 per year, for up to six years, with a maximum of $20,400 in student loan repayment assistance. You must be in good standing on your student loans. You can receive up to $6,500 per year, for up to four years, with a maximum award of $26,000. You must be a licensed social worker in New York and be a resident for the past year. On top of that, you must have worked in a critical human service area full-time for one year. Also, you must be in good standing on your student loans. If you provide direct care at a child welfare agency, you could get up to $10,000 per year, for five years (a total of $50,000), with The NYS Child Welfare Worker Loan Forgiveness Incentive Program. You must have obtained your degree from a college in New York and have been a resident for the past year. To qualify, you must apply within two years of graduation. You’ll need to sign a Service Contract, which states you’ll work at an approved site, full time for five years. You must be in good standing with your student loans. As you can see, there are numerous opportunities for student loan forgiveness in NY. This is especially true if you’re a teacher or work in a health-related field or provide direct services to communities in need. If one of the above doesn’t fit, you may still qualify for Public Service Loan Forgiveness or student loan forgiveness under income-driven repayment. Regardless, you have options!